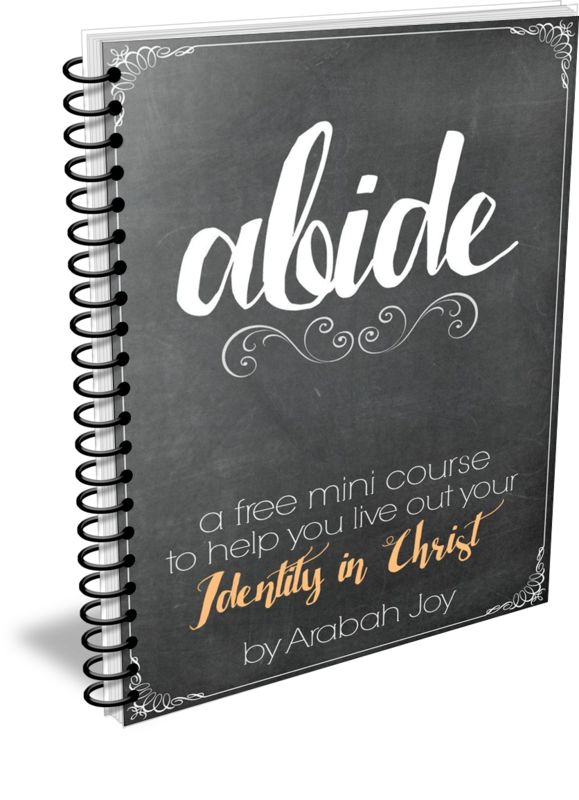 When I sensed the Lord leading me to homeschool three of our kids this year, I thought through what He might want to accomplish in this undertaking. Because let’s face it, there can be many hopes and expectations in homeschooling (and parenting), but I needed a clear, overarching goal. While the goals differ per child, one major, common goal I knew we needed this year is for my kids to taste and see that God is good. Beyond the academics and training, I want to help my kids develop a hunger for God. I want them to be driven … addicted, even… to the Glory and goodness and beauty of God. I want my kids to cultivate a sense of wonder. I want them to know deep down that nothing this world offers can compare to the sweet presence and awesome power of God. And I want them to know how to connect and commune with our great God through His word. Our spiritual senses of sight, sound and taste need developing and constant practice. This method is intended to help children and adults alike develop those spiritual senses. 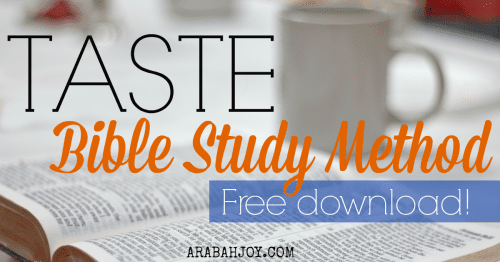 There are many great Bible study methods out there. I don’t claim this one is the best nor is it the only way to study God’s word. In fact, it is not necessary at all! It is simply a tool that serves a specific purpose, that of tasting and seeing that God is good. 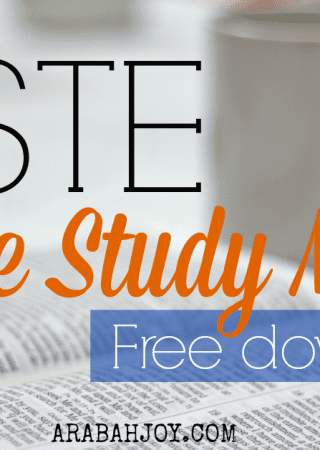 To receive the TASTE Bible Study method printable, simply drop your email address in the box here. The TASTE method can be done together as a family or individually after a child has gone through the process with an adult a few times. One other tip: I’ve learned it’s necessary to change Bible reading up with my kids. They get bored and on the brink of resentful if we do the same thing Every. Single. Day. So keeping it mixed up is really important. I never want my kids to feel meeting with God is a drudgery! >> On or around their 8th birthday, we give our children their own bible. It is so important for them to have their own and my kids really look forward to this rite of passage. I like the Discoverer’s Bible for it’s simplicity. 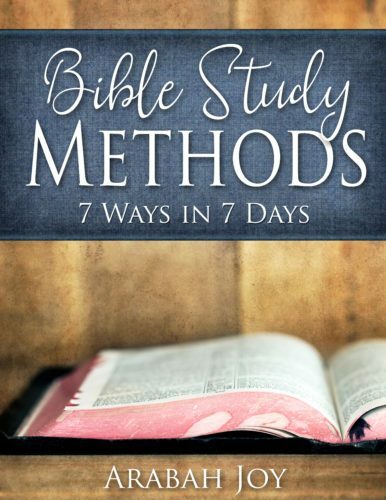 Other study Bibles for kids can be found here. 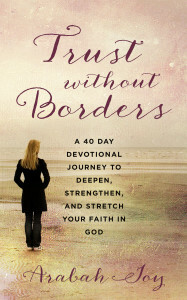 >> We keep a few morning devotionals on hand for them to choose from. Some we use are Hero Tales, Jesus Calling for Kids, and Exploring Grace Together. >> This printable for doing a word study with your child is great! Just choose a verse to focus on and have your children look up the words for deeper study. (Appropriate for older children). 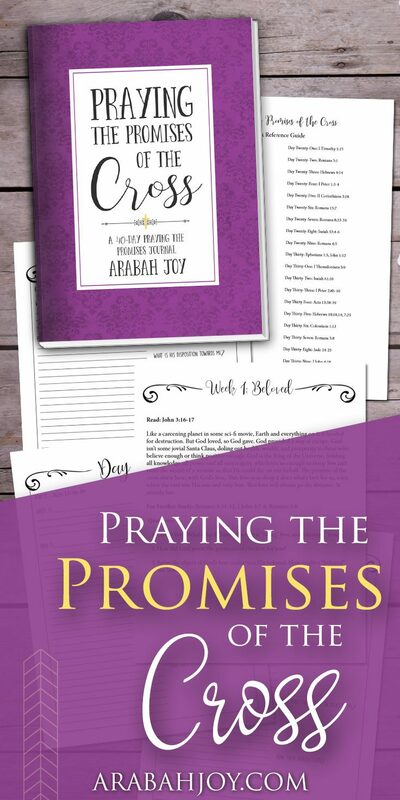 I hope these tools get you fired up to help your child with Bible study and teach them how to have their own quiet time. 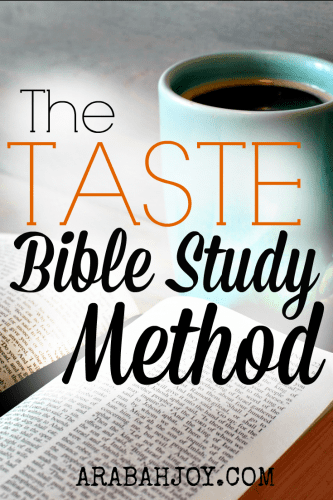 Don’t forget to grab your copy of the TASTE Bible study method here! Love this and looking forward to using it. Thanks for sharing what has worked with your kids. It is a challenge to keep it fresh and engaging at times. Linking with you today at Grace and Truth. I’ll share this on my page and at Planting Roots.